In the specialty coffee world, Brazil is often misunderstood as focussing on quantity (rather than quality) and mechanised coffee picking. This article talks about the two instances that have “painted” Brazil with such a character and takes a peek into Brazil’s specialty coffee climate. The first reason why Brazil is misunderstood, is Colombia’s National Federation of Coffee growers / Café de Colombia’s work in the 1960’s to differentiate itself from Brazil. The Federation painted that Brazil mechanised its coffee picking, did not have the high mountain slopes (like Colombia had) and because Brazil’s focus was on quantity, they had lower costs of production – so there was no need to pay more for Brazils. To be honest, I think this campaign was incredibly successful, and to date Brazil is still trying to shake this off. The second. Well it doesn’t help that the fair trade movement (with a spotlight on coffee trade) uses the example of Brazil (and Vietnamese) greens flooding the market in 2001 as to why it is so important to have minimum floor prices for coffee. This event in the late 2001’s pushed many people involved in coffee production out of business. Alongside increased consumer awareness about the ethical issues connected with sourcing coffee, this painted Brazils (because of their production scale) as focusing on quantity, rather than the quality of their beans. Wrong, but you can’t help but be biased from such an explanation. In 1991, twelve coffee producers came together to establish the Brazil Specialty Coffee Association (BSCA). This association exists to improve coffee quality and promote Brazil’s coffee across the world. In addition to promoting and celebrating Brazil’s finest coffees, the BSCA works to promote environmental preservation and environmentally sustainable development. Similar to Colombia’s National Federation of Coffee growers (but for Brazil, duh), the BSCA exists to promote and differentiate Brazil’s coffee across the globe. As Arabica coffee requires frost-free cool climates to develop and mature, as temperatures increase the amount of suitable land for specialty coffee is likely to decrease and not be available for coffee production. That’s why specialty coffee is particularly susceptible to climate change. Strong rainfalls and out of cycle weather patterns also throws a curve ball to coffee production. 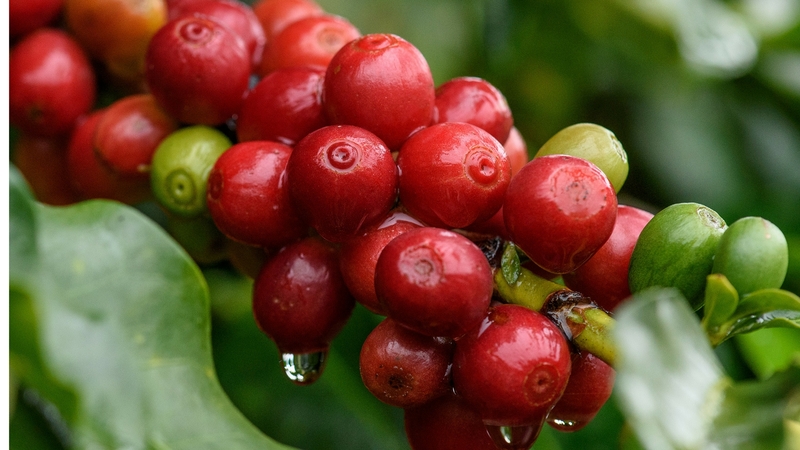 The heavy rains in the south of Minas Gerais and São Paulo state in mid 2016, have had the Federation of Agriculture for the State of Minas Gerais (FAEMG) claim that 30-40% of coffee cherries have fallen from the trees. And because specialty coffee requires coffee cherries to be processed quickly after they are picked (the cup progressively declines as time increases). Such weather patterns reduce the amount of specialty coffee produced, because the coffee would then be used for commodity coffee production instead. Alongside, Vietnam’s reduction in Robusta production, a worldwide increase in coffee consumption (at an unsustainable level to production) looks to push green coffee prices higher. Amidst the chaos of climate change, increased connectedness between roaster, importer, exporter and producer (and everyone else in the supply chain, pretty much), there is a lower barrier to entry to entering the coffee market. As people are becoming increasingly connected (hey Facebook) – I would like to highlight some pros and cons of relationship coffee. As many in the industry advocate that it beneficial for “everyone”, I wanted to show both sides of the coin. Relationship coffee is beneficial in the sense that it helps create price stability for the producer and enables them to forward plan for their future without fear that the buyer will go elsewhere if there’s is a lower price (Ie the buyer will not abandon the producer if there are cheaper Salvadoran greens on the market). But the disadvantages of this is that such an exclusive agreement would mean that the producer is locked in to selling to the importing/roaster partner, and not able to find a better price somewhere else. Such a relationship relies on trust between the parties and a long term, rather than short-term focus. This article is brought to you by Minas Hill. Marcelo Brussi whose family has been in the coffee industry for decades runs Minas Hill. Now Marcelo dedicates his business to partnering with Australian roasters for their Brazil greens. If you’re attending MICE2017, you can get in touch with Marcelo at stall 115.